(17/P121) TRENTON – Commissioner Bob Martin today joined with Department of Environmental Protection staff to deliver more than 1,000 holiday presents to 240 children through The Salvation Army Corps in Trenton as part of Governor Christie’s annual Season of Service campaign that helps families in need during the holidays. DEP staff donated the gifts to the Salvation Army’s Angel Tree program. During the past seven years, the DEP has delivered gifts for more than 1,000 children through this program, which brings new clothing and toys to families in need through the support of donors. DEP contributors purchased “wish gifts’’ for children. Presents included assorted toys, games, bicycles, electronics, sporting goods, as well as essentials such as clothing, diapers and bedding, plus gift cards. 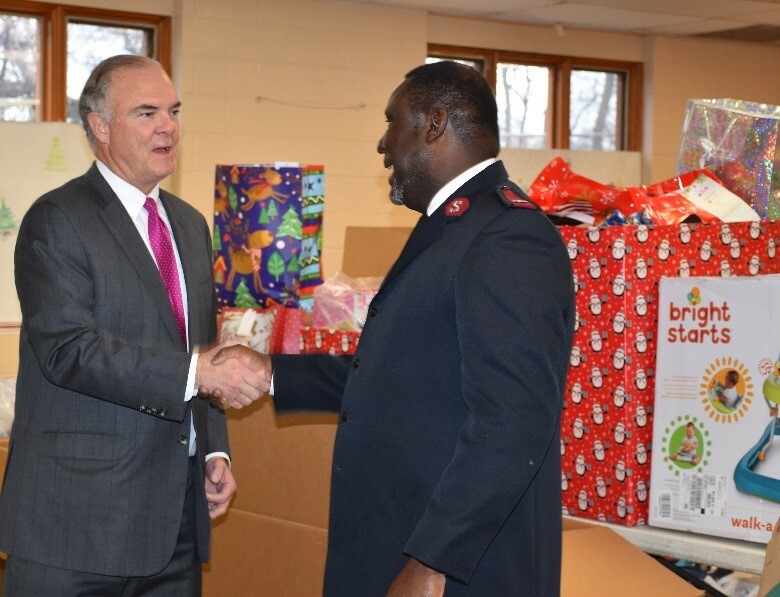 The Salvation Army West Central Region serves Mercer, Hunterdon and Somerset counties, and is collecting toys and gifts for about 1,000 families representing about 3,500 people through its Angel Tree effort this holiday season. 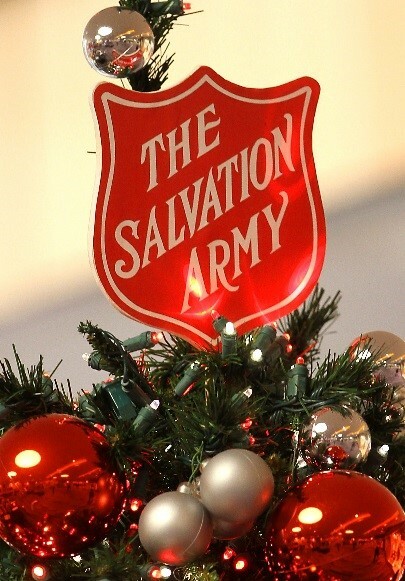 The Angel Tree program was created by the Salvation Army in 1979 by Majors Charles and Shirley White, who worked with a Lynchburg, Va., shopping mall to provide clothing and toys for children at Christmas. The Whites identified the wishes of local children by writing their gift needs on greeting cards that featured pictures of angels and placing the cards on a Christmas tree at the mall for shoppers to select. More than 30 million Americans receive assistance from The Salvation Army each year through a broad array of social services that range from providing food to the hungry, relief for disaster victims, assistance for the disabled, outreach to the elderly and ill, clothing and shelter to the homeless, and opportunities for underprivileged children. Toys will continue to be collected by The Salvation Army through next week. DEP employees have been active on the charitable front for several weeks, with State Park Police holding a separate toy drive for children, and Conservation Officers participating in a No-Shave November event by growing beards to draw awareness to men’s health issues. Toys collected in the State Park Police effort are being delivered to the Batsto-Pleasant Mills Church in Hammonton for distribution throughout Mullica Township in Atlantic County. New Jersey’s Conservation Officers ranked first in a No-Shave November competition with conservation officers from organizations in other states.